Today we walked the north side of the historic district. We started the day off with coffee and a trip to the post office to mail postcards. Most shops didn’t open until 10am, so we sat in the park and enjoyed the sunshine. We shopped and took a look through some art galleries. There are so many very talented artists, all of whom obviously are inspired by Savannah’s history and beauty. I found a couple pieces from a particular artist that I really like… I’m going to have to think about this for awhile. We walked up to River Street (as you might have guessed, it’s on the riverfront). We shopped at the Savannah Bee Company for honey, soaps and lotions. Today we took lunch at Vic’s on the River, an old shipping warehouse that was used as barracks for General Sherman’s troops during the civil war. In the main dining room of the restaurant they have a map that was hand-drawn by Union soldiers detailing Sherman’s march from Tennessee through Georgia. This map was found stashed in the walls during a renovation in the early 1900’s. 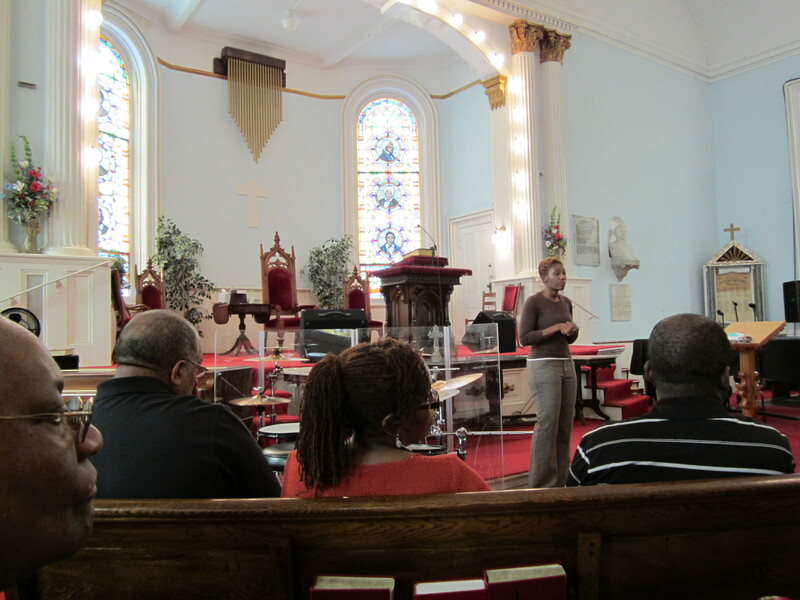 After lunch we hurried to make the 1:00pm tour at the First African Baptist Church. This church name is quite literal. 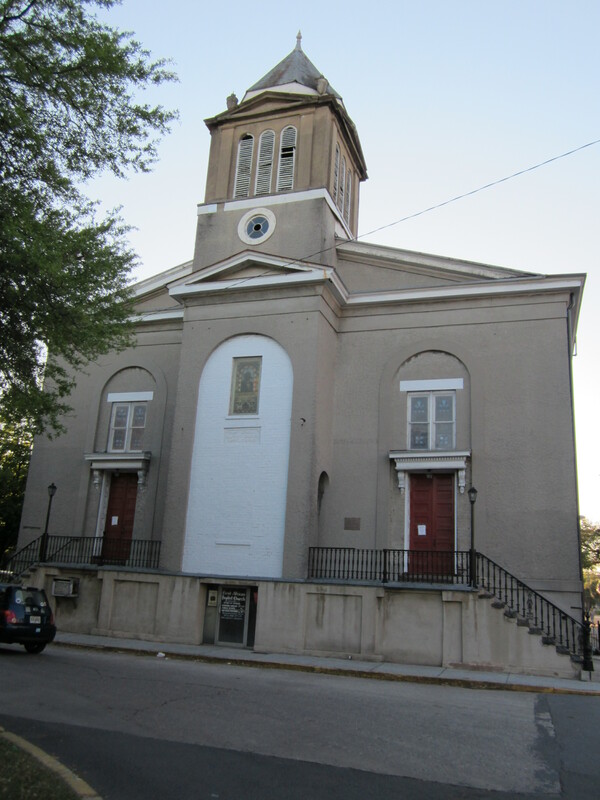 This is the first church in America that was constituted by African parishioners. In 1773, some African slaves were granted permission by their owners to attend their own church. Over many years, the congregation obtained land and in their spare time after their unpaid labor in fields and homes, they constructed this beautiful church, completed in 1859. The hand carved pews still display the African tribal patterns of the craftsmen who build them. 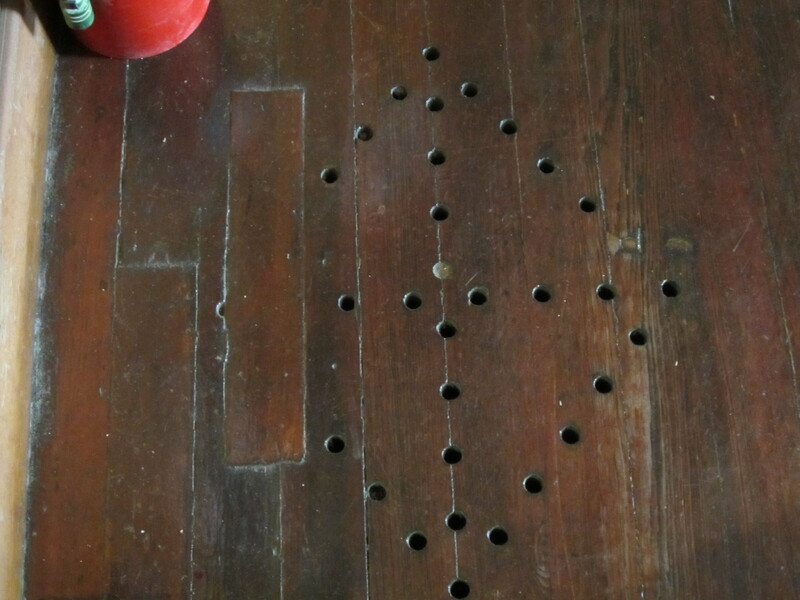 Discreetly designed holes in the floor are in fact air holes for a four foot high room underneath the building that served as a stop on the Underground Railroad. Having spent the afternoon hearing the inspirational stories of this multi-generational church’s trials and tribulations, I spent a few minutes examining my own white guilt. I know that’s a loaded phrase, “White Guilt”. I kind of knew what I was getting into being a northerner on my first trip to “the South”. I tried to approach these types of learning opportunities by simply being mindful of compassion and empathy for others….. but, this one got me. I have white guilt. Needless to say, I was ready for a beer. Mom and I headed over to City Market. In Savannah, you can take your alcoholic beverage to-go. We acquired some tall, cold ones and went over to the park to enjoy some live music. A Bob Dylan cover band! Savannah has a really lovely nightlife. At 9:00pm we took a Ghost Tour Carriage Ride. Bob, the horse and his driver, Mel, toured us around the historic district for a couple hours. We went past buildings and heard gruesome stories of past residence and how they met their fate. We were directed to windows where there are frequent apparition sightings and they made sure to take us past the cemetery and gave us a laundry list of unsettled inhabitants. What fun!!! 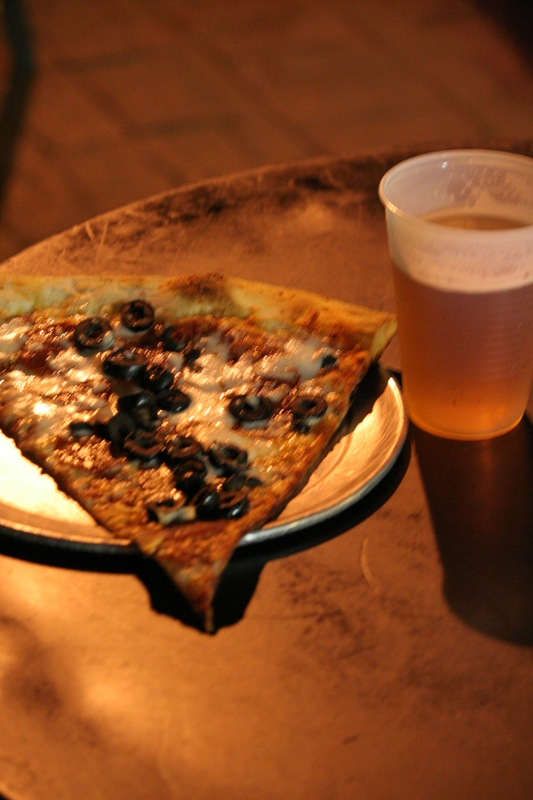 Back at City Market we enjoyed a midnight snack of pizza at Vinnie VanGoGo’s.